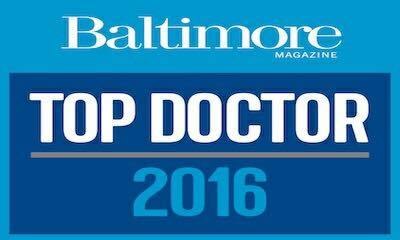 Baltimore Plastic and Cosmetic Surgery Center, based near Baltimore, MD, are proud to announce that Dr. Jeffrey Schreiber, their main plastic surgeon, has been named Baltimore Magazine’s Top Doctor 2017. Baltimore Magazine releases an annual “best of” list in various fields for the region. The cosmetic surgery clinic stated that to be included in the top doctor’s list this year is really an honor. One of the reasons why the Baltimore Plastic and Cosmetic Surgery Center, with website at https://www.baltimoreplasticsurgery.com/, has stood out, is because of the vast array of cosmetic procedures that the clinic offers. This demonstrates the commitment of all staff to keep their knowledge up to date at all times and to always stay abreast of new technological and scientific developments. Their most popular procedures include breast enhancement, body contouring, facial rejuvenation, micro needling, hair transplant, mommy makeover, CoolSculpting, labiaplasty, and MiraDry. Only a few other clinics offer such a wide range of different procedures. Those who have received treatment from Dr. Schreiber and the rest of the staff at the clinic have been incredibly happy with their results. This is something that has made the doctor stand out with Baltimore Magazine as well. Nikki K., for instance, says on Google: “Dr. Schreiber removed a mole from my leg that a few dermatologists were not comfortable to remove. I was really nervous but Dr. Schreiber and team were so warm and kind, and very professional. I received a call the morning after the procedure to check in and see if I had any questions. Those who need more information can visit www.baltimoreplasticsurgery.com/.